5000 pound house for sale - but is it the one for you? 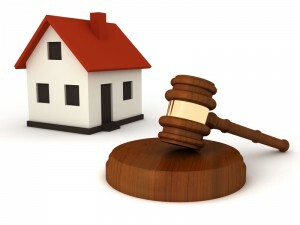 Are you looking for a cheap property for sale in England? Well, according to The Telegraph, the cheapest house in Britain is being auctioned and is expected to achieve a mere £5,000. The reason for this unusually low price is because the property is located in Limetrees Close which is a well-known crime afflicted area. If you are brave enough to live in such an area which is known for firebombing and theft, then this is the house for you! In the past, houses have sold for £9,000 and £8,500 on Limetrees Close in Stockton-on-Tees and 2014 figures show that Middlesbrough’s property prices experienced the largest annual decrease in comparison to 2013. Middlesbrough’s average house price in 2014 were £69,049 which is a significant 16 times lower than the average national house price of £273,000. According to residents who live on Limetrees Close, living on this street is not only terrifying but it also could damage your job prospects if your employer recognises the area. Locals have been known to be rejected from jobs just for living in this area of Port Clarence where Limetrees Close is located. "It's so bad that if people have nothing valuable left to steal they'll come in and nick the electricity meter to sell for scrap metal. If I could afford to move away I'd do it in a shot. You can't leave your kids' toys in the garden because they will disappear overnight." The £5,000 house has a kitchen, ground floor lounge, a bathroom, two first floor bedrooms and an outside garden to the front and rear. As a comparison, houses with all of the same features are being sold for £300,000 in Charlton, SE7. Would you be willing to take the risk and bid for this property?